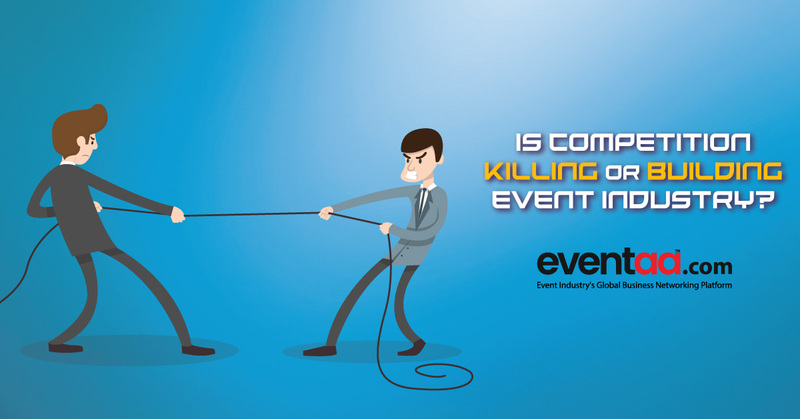 Blogs eventaa- Is competition killing or building the Event Industry? Home Blogs & Article Hindi Is competition killing or building the Event Industry? Whether it is decorators, sound & light suppliers or any other agency in the supply chain of the Event Industry, whether it is an artist or any other content provider or it is about Event Management companies...all may be operating their businesses at different levels, but competition is same at all the levels. This fierce competition is driven by who all? All, Starting from Event Companies to supply chain to content provider. Everyone is ready to work at cut throat prices. But it is not just cut throats price alone as a factor responsible for competition, one of the key reasons is that supply chain is ready to work with any briefcase Event Manager by extending credit lines. So there is no entry barrier to this Industry. On the other side, clients are enjoying this competition. They are also ready to give small scale and less important events to new companies whose owners have some personal experience and get work done or sublet at a price from other companies who have low overheads. Next clients have become smart to segregate events by booking venue, caterer, etc. directly and in many cases, small scale events are done by the Company themselves directly through vendors. Though the market size is growing so is the competition. It is estimated that there are more than 1, 00,000+ companies offering event management services. It may purely be an Event Company or a decorator, sound operator etc. offering event services ... surprisingly all get work!! !